New Delhi : Swine flu is a kind of influenza in pigs that gets transmitted into humans with deadly effects. It generally increases during the winter season. In the spring of 2009, scientists recognized a particular strain of flu virus known as H1N1. This virus is actually a combination of viruses from pigs, birds and humans. During the 2009-10 flu season, H1N1 caused the respiratory infection in humans that was commonly referred to as swine flu. 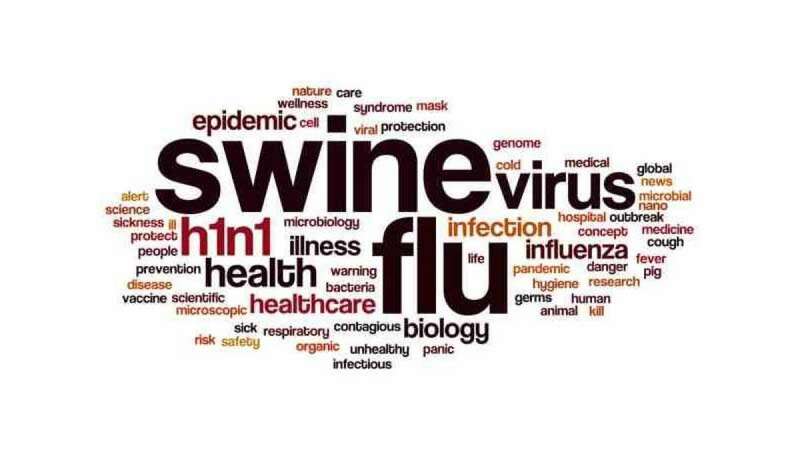 With thousands of people getting infected with the disease, H1N1 Swine Flu was declared a global pandemic. # Stay home if you're sick. If you have the flu, you can give it to others. Stay home for at least 24 hours after your fever is gone. # Wash your hands thoroughly and frequently. Use soap and water, or if they're unavailable, use an alcohol-based hand sanitizer. # Contain your coughs and sneezes. Cover your mouth and nose when you sneeze or cough. Wear a face mask if you have one. To avoid contaminating your hands, cough or sneeze into a tissue or the inner crook of your elbow. # Avoid contact. Stay away from crowds if possible. And if you're at high risk of complications from the flu — for example, you're younger than 5 or you're 65 or older, you're pregnant, or you have a chronic medical condition such as asthma — consider avoiding swine barns at seasonal fairs and elsewhere.